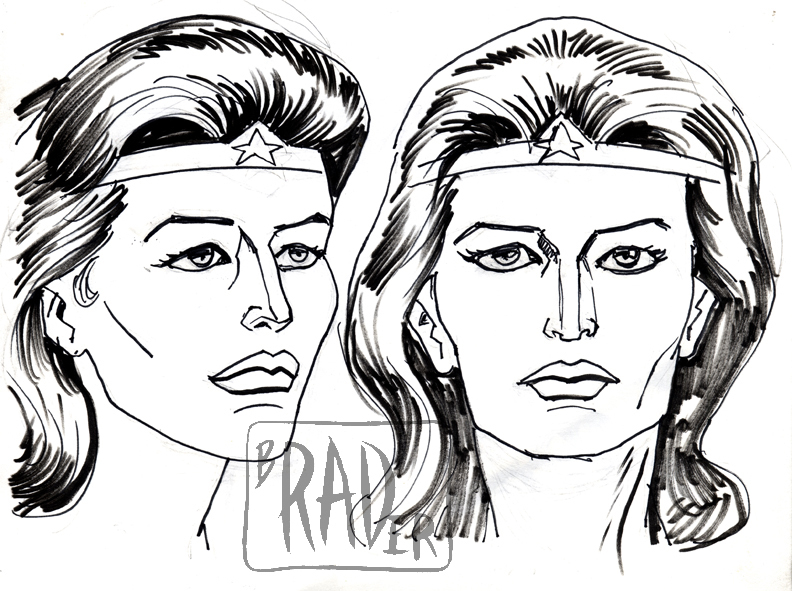 Wonderwoman head shots, as though for an animation model sheet. I based these off of the actress Capucine. The first drawing looks more like the actress but I like the second, simpler drawing better.